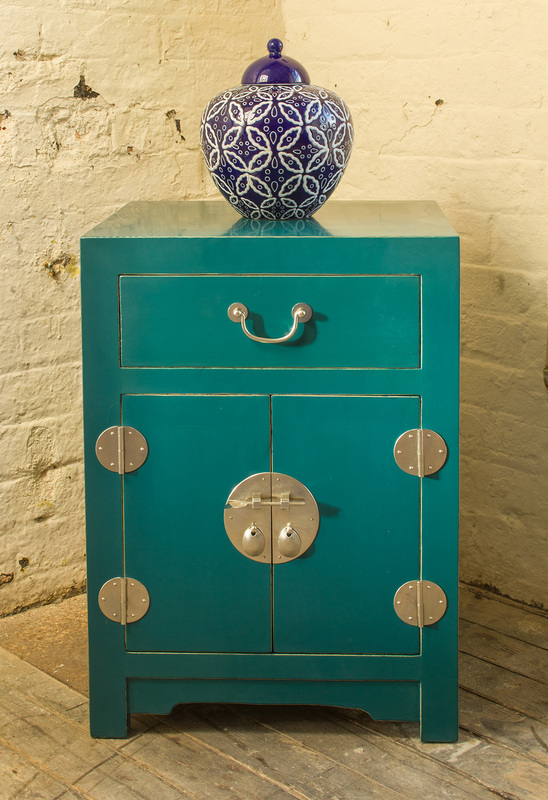 A Beautiful and contemporary Oriental style Bedside Cabinet. Hand Crafted from high quality Solid Ash Wood. 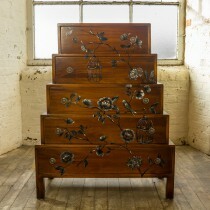 The design of this piece takes its influence from a by gone era of the Orient. 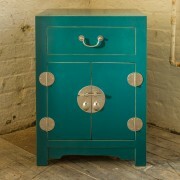 Finished in a highly distinctive lacquered Teal. 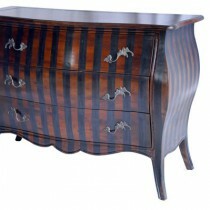 SKU: BUL-002-BL Categories: Bedsides, Chest of Drawers. 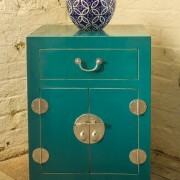 A Beautiful and contemporary Oriental style Bedside Cabinet. Hand Crafted from high quality Solid Ash Wood. 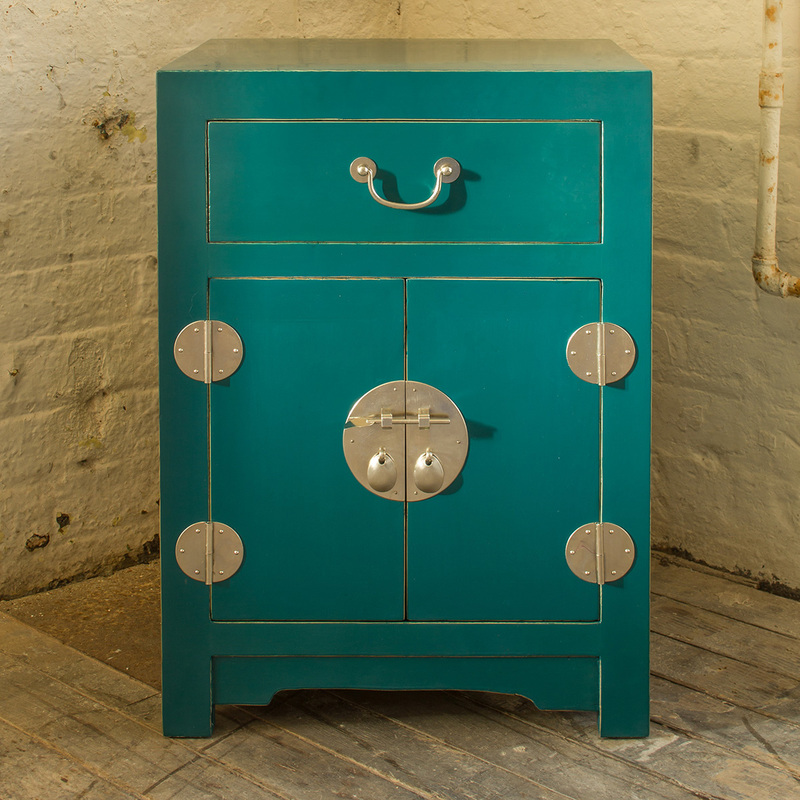 The design of this piece takes its influence from a by gone era of the Orient, with its distinctive shape, and bar lock cabinet door handle being key features. The Cabinet has two doors to the front which open to reveal a handy solid wood internal shelf. The unit also has a top drawer, giving further storage flexibility. 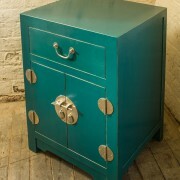 The drawer and cabinet handles are high quality cast brass. 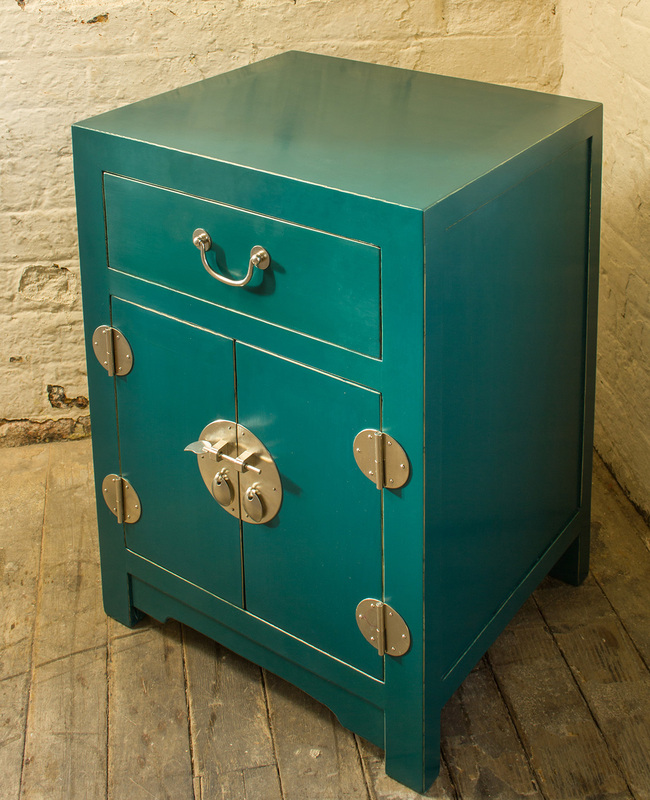 The Bulan Cabinet is finished in a highly distinctive Teal colour, which is lacquered, providing protection to the surface as well as a beautiful sheen.